​Your modern vehicle&apos;s engine is a highly sophisticated piece of equipment. The days of your father&apos;s gas-guzzler are long gone—instead, Federal Exhaust Emission and Fuel Economy regulations demand that today&apos;s vehicles be equipped with electronic engine control systems, to curb carbon emissions and increase fuel efficiency. With technically-advanced control systems taking the place of simple engine components, common maintenance services such as tune-ups are also a thing of the past. 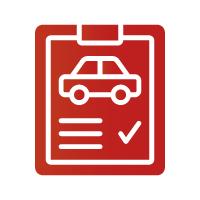 Regular services (such as spark plug and filter replacements) are still required, as well as a computerized analysis of your vehicle&apos;s control computer. Our factory-trained technicians are here to provide these basic services. ​A network of sensors and switches convert and monitor engine operating conditions into electrical signals. The computer receives this information, and, based on information and instructions coded within this savvy computer program, commands are sent to three different systems: ignition, fuel, and emission control. Whenever a problem arises (as seen by that nagging "check engine" light), our service pros check whatever command is prompted, in addition to the status of your engine control computer and sensors. That way you&apos;ll know if your vehicle&apos;s performance is caused by a real problem, or just a sensor/computer issue.